Mahindra Rajapaksa has his personal astrologer, most of the time around the Temple Trees, to check for best times and days to engage in any activity. Mahinda does everything according to Astrological dates and times, but he had changed his mind this time when he selected the dates for the Presidential elections, according to a very reliable source from the Presidential House. The Astrological dates for Nomination and Election were different to the dates Election Commissioner announced this time. It seems Mahinda is now not following the Astrological dates. Why did he select Numerical dates at this time? Chinese has so much influence on Mahinda and he is now forced to discard his Astrologer’s dates for Chinese auspicious dates as dictated by them. The day Presidential elections was proclaimed, I had never thought about the importance of the two dates in December and January. But after reading a Chinese article on Numerology, I suddenly realised Mahinda Rajapaksa is well and truly is under the Chinese power. Number 8 (Eight) is the most important number for Chinese in their Calendar and their influence forced Mahinda Rajapaksa to throw away the Astrological dates given to him and selected December 8th and January 8th as the nomination and election dates, as he was told by the Chinese that he will be able to defeat anyone contesting him if he used those dates. Unfortunately late PM SWRD Bandaranaike was born on 8th January, and now this day he selected is creating problems for him and his advisers. 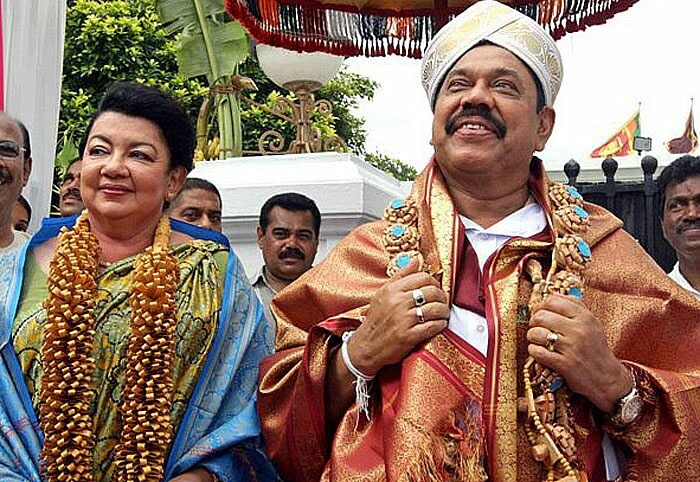 Why did Rajapaksa discard the Astrological dates is a mystery to many. The person who provided me this information told me that Rajapaksa got very agitated when he heard January 8th is the Birth Day of late SWRD Bandaranaike. Even if he selected any date this time he is going to lose very badly as he is hated by most in Sri Lanka. But now his trust on Chinese numerology has eroded and he is fuming about using the Chinese numerological dates for this crucial Presidential election. 8th Jan is also the date of Lasantha Wickrematunga’s death! Poor MaRa. Chinese numerology, I assume, is applicable to only to China, not to Sri Lanka. So MaRa is fooled again. He Will lose to Matripaka Sirsena bt 60/40, 65/35, 70.30 or even 75/25. Astrology is based on the Geocentric Model, which is incorrect to begin with.Belief in the impact of the heavenly bodies on earth;lings Life , especially individuals, is purely faith. Is MaRa now using the correct Heliocentric Model? It does not matter. People do not want a Family Dictatorship. They want ACCOUNTABLE Democratic Governance with Law and Order on the DEMOCRATIC SOCIALIST REPUBLIC OF SRI LANLKA. Anura Kumara Dissanayaka is a better futurist than the Presidential astrologer and the Chinese Numerology. Also 8th January is the death anniversary of Lasantha Wickramatunga who was butchered in day light by Rajapaksas. Lasantha W was the ultimate leader of the Opposition at the time of his death with UNP in its long sleep and should have been the man for this moment of Anti Govt forces coming in one front to send Rajapakas home. 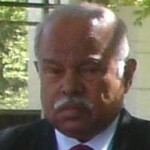 The curse of killing LW will befall on Rajapaksas and lets see the wheel of Karma treating Rajapaksas on this day. Will the SWRD Ghost Support Medamulana MaRa? Too many Ghosts, in addition to the astrologers. Jan 8th 1976 – Chou En Lai died. If MR is so much into Chinese nonsense, he should be having the election on August 8th (8/8). Isn’t there is a 4 year minimum, before an election can be called? The point is why is it people still talking about Chinese Numerology or Sri Lankan Astrology ? Aren’t we going to drop these non scientific, unrelated and non factual believes aside ? About 40% of Sri Lankans believe the that the Sun goes around a stationary Earth, and that the Earth is not a Planet. Also many believe that the Grandfather of Vijaya was a lion, including the late Prof. Sarathchandra as per Mahawamsa. but powerful saying so we cannot fault him for that.after all he is only a drop in an ocean of greater and bigger men who have lost their power. The Chinese seem to have brought MR enough good fortune up to now, so, who better than a Chinese fortune teller to turn to regarding the future? December 8th & January 8th as nomination And election dates. Not only Praba’s ghost still haunting Mahinda now his birth numbers are going to haunt him as well. Dr. Upasiri de Silva: If you say Chinese decided the date of “8th” to be the lucky day for MR; then please compare that with the prediction made by his “Official Astrologer” Mr. Sumnadasa Abeywardane. According to him (Mr. Sumnadasa) the “Best & the Luckiest” date for MR is “8” and he says the nominations will be accepted on “8th” and the elections will be held on “8th”) This date compares with MR’s “Birth Date” which is 17th, that adds to again “8th”. 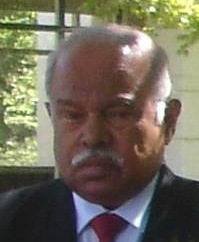 He also says that Ms. Chandrika Bandaranayke called upon him to accept the post of Prime Minister on “April 17th” – that again is “8”. Then the first election he faced to become President was also November 17th – that too is “8th”. He also says that there is a “Lucky Number” that decides the Govt. Leaders and that is “8th”. In addition he says that the opponent contestant Mr. Mithirpala will lose his seat too at the forthcoming election. So for all these “calculated predictions” he has been handsomely rewarded and presently serves as a “Director” of the National Savings Bank. Presently the other Directors are being “questioned” as to his (Mr. sumanadasa) qualifications in a court case instituted against the then Chairman. What more “Qualifications” a person needs, other than to “Predict” and “set up” auspicious dates for “winnings”. Going by the above “QUALIFICATION”, I think, taking your information into consideration too, this present day newly consulted “astrologer” the, “CHINESE” will also be “QUALIFIED” to occupy a “BIG SEAT”, perhaps this time in our Legislature. That is “IF”, MR wins. If he “DOESN’T”; then “CHINESE” and CHINA, better be; BEWARE. Does he also consult his astrologer before ordering killings as well? The #8 has different interpretations to many. The Tamil people keep away from this number. Numerology is a serious business in the Tamil Circles. The Chinese love this number. They look for house #’s that either is 8 or ends up in 8 ie: 26, 62, 17 etc. Something the way the number sounds when spoken. In this era of Science and Technology, where every few weeks a Russian Rocket leaves to the ISS, these past beliefs are just that, beliefs and value systems with no scientific evidences to back it. It is us who give power to them, by believing them. So, I ask you all to forget them and be guided by Scientific Evidence. Btw. I have noted both Sirisena and Rajapaksa wear multiple rings in their fingers ( obviously ). A belief in SL that sun rays being absorbed by gem stones in them, has a beneficial effect on the wearer. Go figure. why are we forced to read this article..? has good journalism come to this now ? D S, it’s another view of what influences everything in SL. Astrology, Numerology etc., and then the twist from Babylonian to Chinese era Numerology. The nod to China.